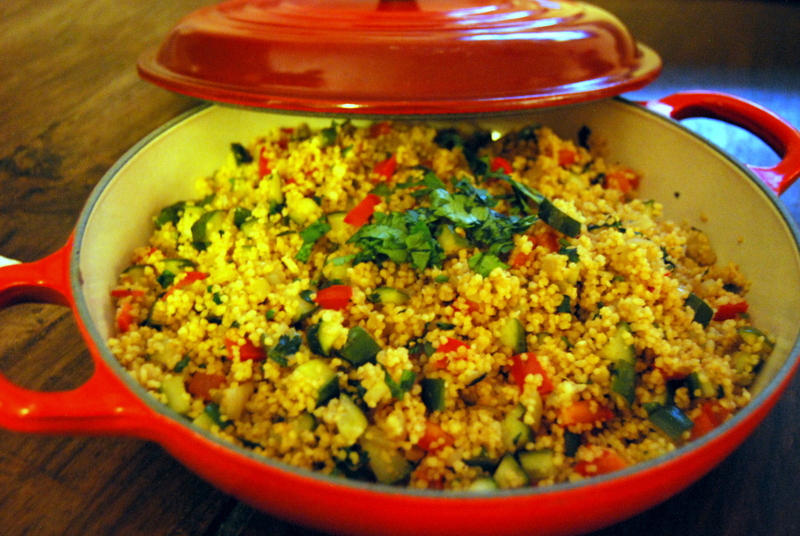 This was the first time I have “made” couscous before and it was ridiculously easy. 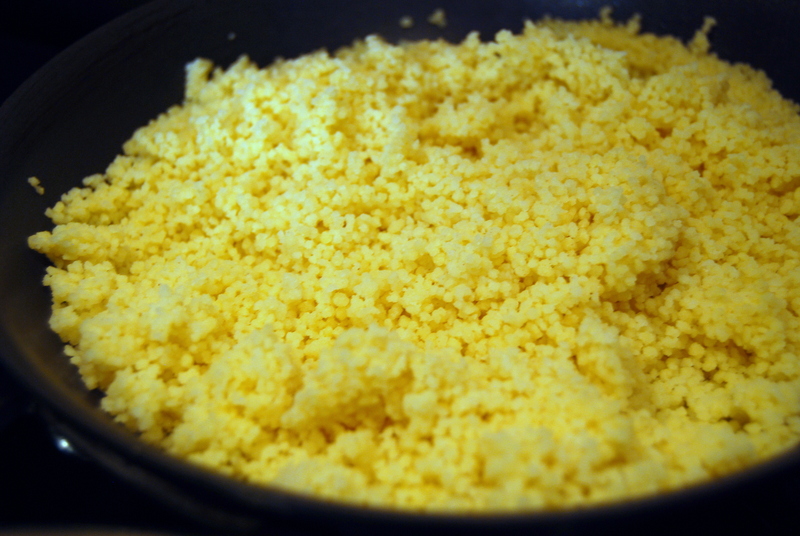 The couscous most stores sell are actually instant couscous that has been pre-steamed and dried. All you need to do is add boiling water (1:1 ratio is standard) and let it sit for a few minutes. The taste of this light and fluffy pasta can be a bit bland, but easily soaks up the flavors of other ingredients. 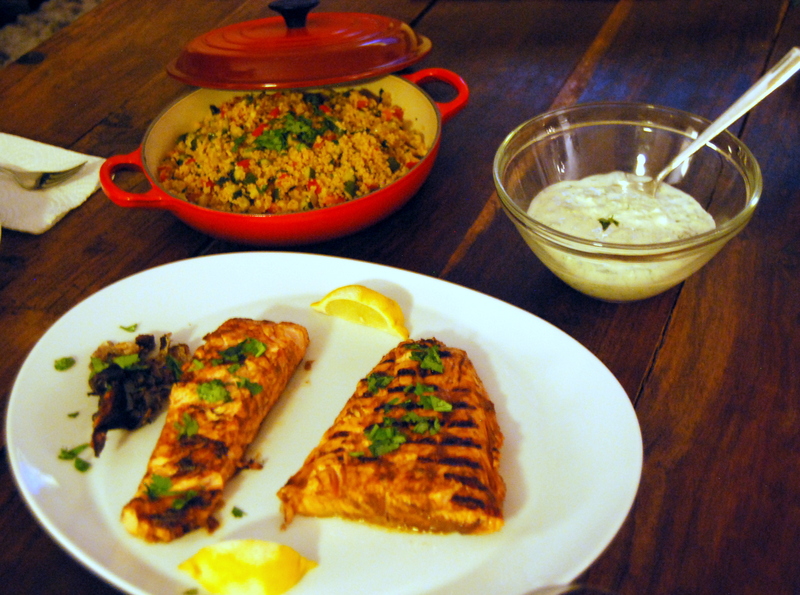 This vegetable couscous was made to accompany a Moroccan-inspired Grilled Paprika Salmon with Tzatziki. Put the couscous in a bowl and pour the vegetable stock over to cover. Stir, cover with a plate and set aside. Heat the olive oil in a large frying pan over a medium heat and fry the onion for 5 minutes, stirring regularly, until softened. 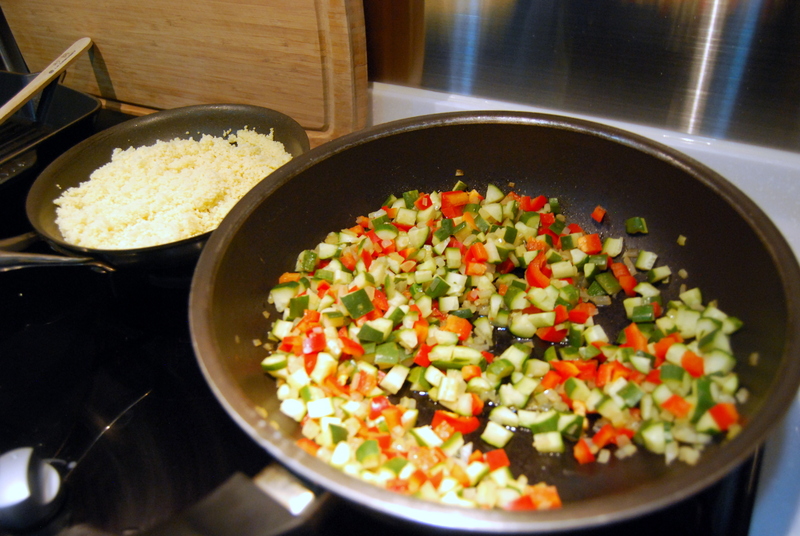 Add the cucumbers and red pepper and cook for another 5 minutes, then add the garlic and cook for another minute. Stir in the ground coriander and cumin. 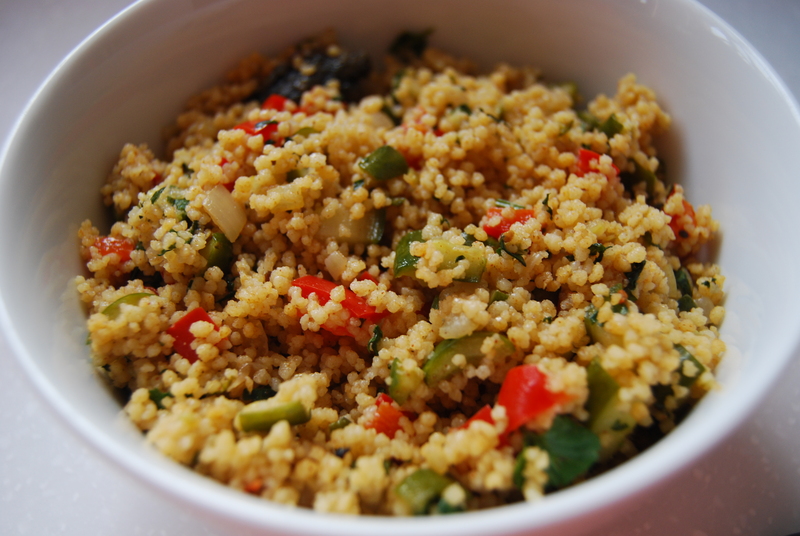 Tip the vegetable mixture into the couscous with the cilantro and mix well until combined. that sounds like a great combo – i loved mixing the couscous with tzatziki so think dairy in general is a great complement. Maybe would think ratio would be like 1:2 cottage cheese to couscous?